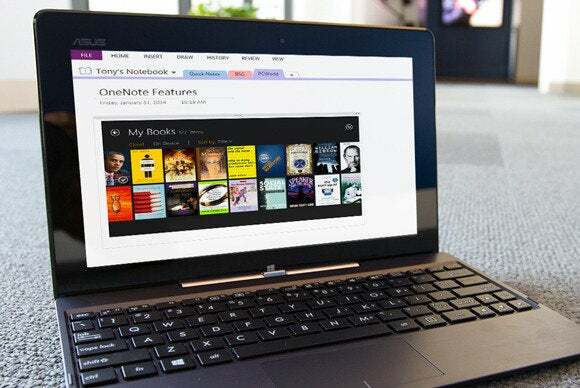 OneNote is one of the two titans of note-taking apps (the other being Evernote), but most users barely scratch the surface of its capabilities. 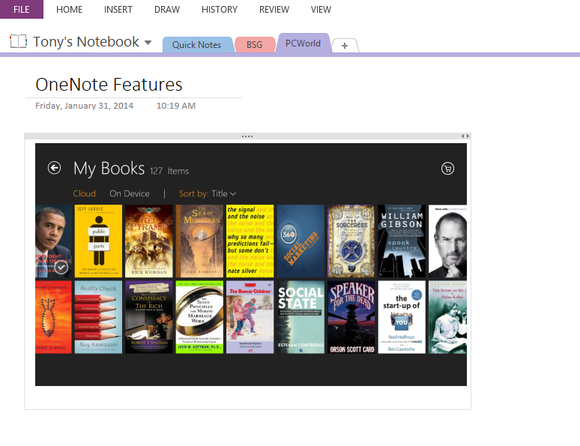 More than a digital notepad, OneNote is a flexible tool for capturing, organizing, and contextualizing data. We pull back the curtain on five features you should be using to get the most out of this productivity powerhouse. If your idea of “notes” is a bulleted list of text, you’re missing out on one of OneNote’s best features. You can embed almost any file into a OneNote page—screen clips, pictures, scanned documents or images, audio and video files, Excel spreadsheets, and even Visio flowcharts. And if your screen supports a stylus, anything you can write or draw can be embedded as well. All this data is searchable, and best of all, any change you make to the original file will be reflected in OneNote. You can embed screenshots and other files in any OneNote page. OneNote is tightly integrated with Outlook. You can send an email from Outlook to OneNote, and you can email notebook pages directly from OneNote. The latter is particularly useful when you schedule a meeting—you can send a meeting agenda as a shared notebook to all participants. If you’re the meeting organizer, any changes you make to the meeting request will be reflected in OneNote. 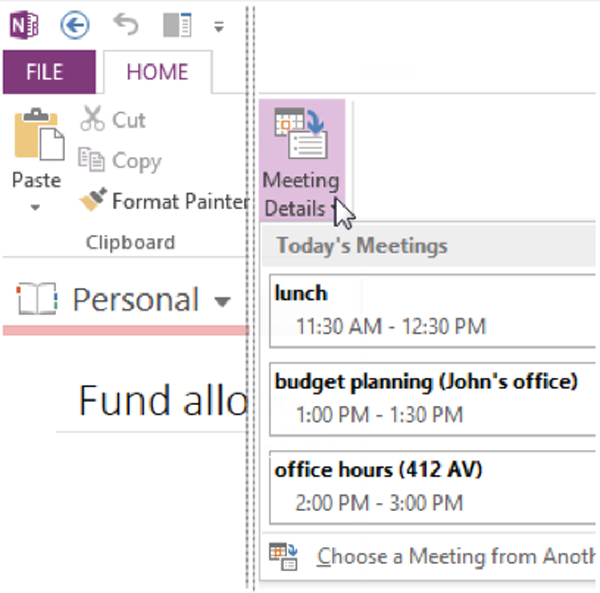 You can also create tasks in OneNote that are automatically added to your Outlook tasks, or insert Outlook meeting details into notes from that meeting. Add meeting details from Outlook to your notes for a more complete record. If you need to calculate a simple equation, there’s no need to go hunting for your calculator app. Just type the equation anywhere on OneNote’s page surface, followed by an equal sign. As soon as you press the spacebar or Enter, OneNote performs the calculation. For example, to figure out the average number of page views per day for a given article with 68,000 page views over two weeks, I can just type “68,000/14 =”. Once I press the space bar, OneNote automatically spits out the answer: 4,857.14. OneNote can perform simple math equations within any page. You can also record audio or video clips in OneNote, an invaluable feature while attending a lecture, conducting an interview, or just trying to capture meeting highlights. Position your cursor where you want to place the recording and click Record Audio or Record Video. Any notes you take during the recording are linked to it, so you can search them later for specific entries. Capture a presentation in audio or video with just one click. OneNote also syncs the timing of audio and video to match text that's typed in OneNote. So, if you took some notes at a minute and a half into the recording, OneNote will jump to those notes at the 1:30 mark during playback. This feature makes it easy to see your reactions to particular parts of the lecture or meeting you’ve captured. 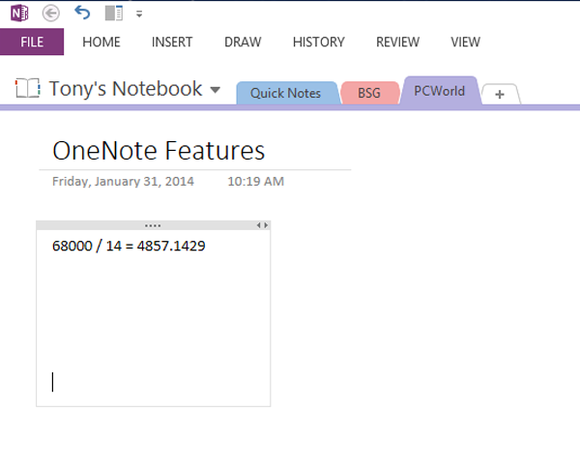 OneNote lets you tag your notes for easy searching and sorting. While the app provides many evergreen tags such as “To-do,” “Important,” and “Remember for later,” the real power is the ability to create your own tags specific to common tasks. For example, if you conduct frequent interviews, you can make a tag that calls out direct quotations in your notes. If you create a lot of presentations, you can make a tag to identify notes you want to pull into PowerPoint. You can also create a summary page or quick sheet that uses the tags you’ve created and aggregates the information for easy reference. OneNote's flexibility puts it many cuts above a simple list-making tool. It’s available on a wide array of platforms and devices, and it automatically syncs data so your notes are always current. Dig into some of these more advanced features to see what OneNote can do for you when it really gets going.